ThingLink 360/VR Bootcamps provide powerful professional development opportunities for educators interested in shifting student learning experiences from consumption to creation. Over the past year, we have facilitated many Bootcamps in locations across the US. The Bootcamps provide us with ongoing opportunities to connect with educators, gain valuable feedback and develop local expertise. Registration is open for Bootcamps near St. Louis, MO and Boulder, CO this fall. We would love to meet educators in these regions to help you seamlessly integrating 360/VR into your instructional practices. 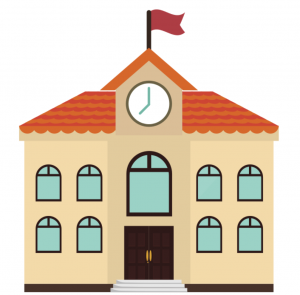 Let’s take a closer look at the learning and pedagogy behind every ThingLink Bootcamp. Our 360/VR Bootcamps bring educators together a 6-hour of professional development designed to help attendees feel confident and prepared to seamlessly integrate ThingLink 360/VR into the classroom. We start with an introduction to VR in education to develop a common framework for understanding the design process. Then we take a close look at how to leverage the power of ThingLink 360/VR, starting at each attendee’s comfort level, using our SAMR-aligned approach to tech integration. Bootcamp participants are encouraged to bring their favorite devices for use during the creativity piece when we design interactive images. We start by learning to add tags with text, images, audio, and video on top of stunning, preloaded 360 images. We learn to embed favorite digital tools into ThingLink, and we explore ways to share digital content and projects with students through popular LMS platforms to bring ThingLink home for use as an extension that easily integrates with educators existing toolkits. The biggest questions during the Bootcamps are related to finding 360 images for use, and a good part of the Bootcamp is dedicated towards empowering educators in this area. Keeping consistent with our pedagogical approach, we start by helping participants search for 360 images from our pre-loaded library of stunning images, then we help them search for images that have been contributed to ThingLink by our users. We discuss copyright and source crediting and then we learn to take our own images on our own devices. 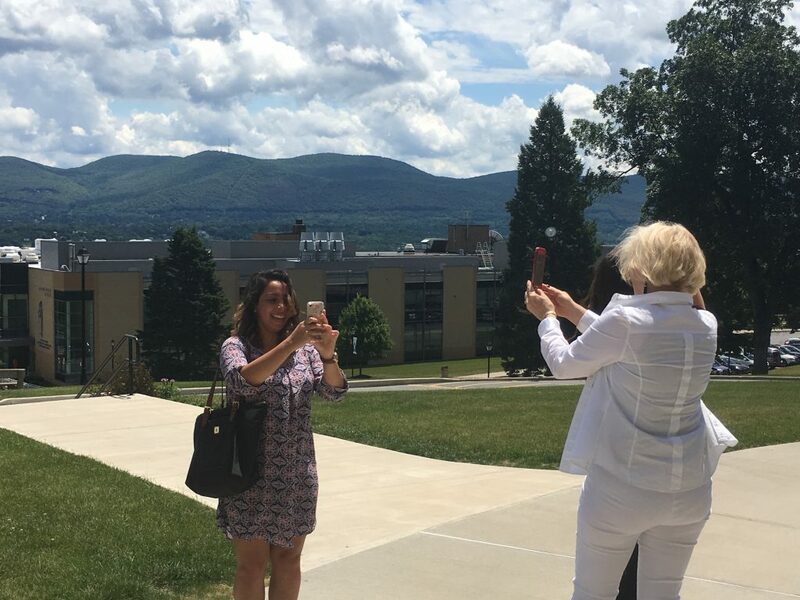 We love it when participants bring their own 360 cameras, but we make sure to spend time teaching everyone how to capture 360 images with their phones because this is an empowering skill to pass on to students! We get up, go out and capture 360 images in the middle of the day and then we put them to use after lunch. After everyone returns from capturing 360 images, and eating lunch, we spend the rest of the day putting everything together. Participants take their own ideas, combined with their newly acquired skills and put them to use by creating a 360/VR image. There is plenty of time for collaboration and conversations. The learning environment is filled with sharing, processing and connecting about learning. There is an incredible opportunity for learning and professional growth through the combined talents of the educators in the room and it is a truly fabulous learning experience. The biggest challenge in any professional development session is in getting participants to continue the work and apply the learning in the classroom. Since Bootcamp participants have a 1-year Premium account for themselves and their students, there is a greater commitment to bringing the learning to the classroom. We offer webinars featuring Bootcamp grads as panelists to share the learning and continue to inspire participants. We also offer a leadership program for attendees who wish to become experts and help others learn to leverage the power of ThingLink in schools and universities. We want you to be successful, and we are committed to helping you succeed, learn, and grow. Who Should Attend a Bootcamp? Anyone interested in learning to create interactive 360/VR images for education! Unlock the power of your teaching and leverage the power of your available devices by embracing interactive 360/VR content creation. Connect with local educators to learn, share and develop expertise. 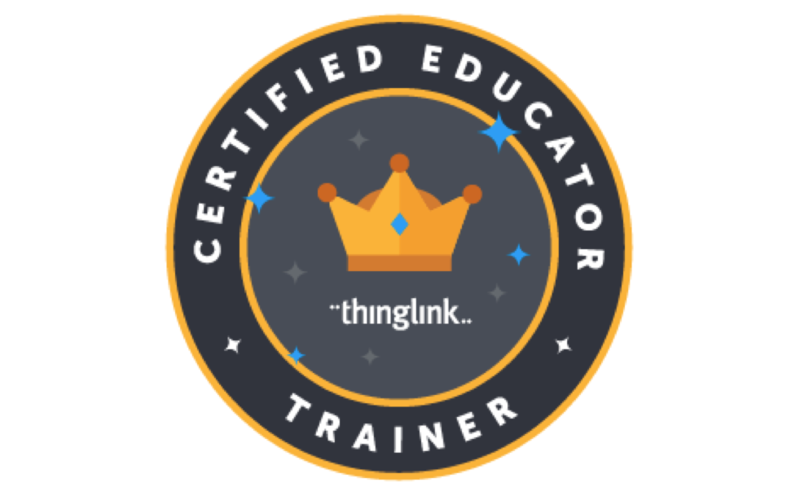 Opportunities to participate in train-the-trainer and join our leadership team of ThingLink Certified Educators in teaching others to incorporate ThingLink into teaching and learning. Develop local expertise and connect with others in your geographic location to unlock opportunities for bringing 360/VR to mainstream education. Bring a Bootcamp to Your Backyard! We’re always talking with educators interested in participating in Bootcamps or bringing them in. To learn how to bring a Bootcamp to your backyard or to join our mailing list to receive notifications about upcoming Bootcamps, please complete the form.